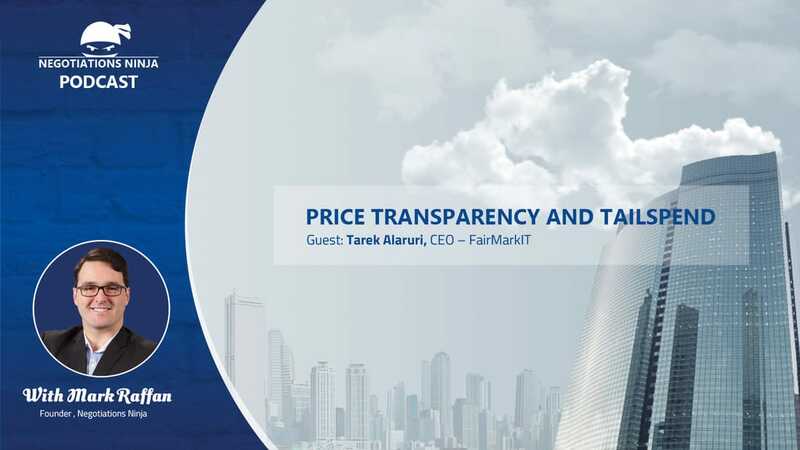 I’m joined by Tarek Alaruri of FairMarkIT.com. We split our discussion and focus on price transparency in the procurement industry, especially around price transparency in negotiation. And then we switch gears and talk about tailspend. 20% of vendors produce 80% of the spend, so what should we focus on optimizing? What about the forgotten 80% of vendors that produce 20% of the spend? It was a super fun conversation.